She may be Queen B but she can still be jealous! Beyoncé Knowles is reportedly livid that Rihanna has a private hotline to Jay Z.
Jay launched Rihanna's career back in 2005, and the pair have remained close ever since. This is apparently a bone of contention for Jay's wife Beyoncé, who allegedly isn't happy about the intensity of their communication. "Jay has several phones, one of which he keeps reserved for Rihanna, supposedly to discuss business interests. It's obvious when she calls because he'll interrupt meetings, even walk away from the dinner table to speak with her," an insider disclosed to British magazine Grazia. "Beyoncé has always been aware that he has several different numbers, but when she discovered Rihanna has a hotline to her husband, she was livid. She absolutely hates how close they are, but feels powerless to stop it." Last week the world watched as the biggest names in music launched new artist-owned streaming service Tidal. Jay and Beyoncé were two of the first stars to get on board, and they are joined by the likes of Madonna, Alicia Keys, Kanye West and Rihanna, who all gathered in New York for the launch. Sources say Rihanna and Beyoncé kept their distance that day, although they did pose for photos together. "Beyoncé is a peacemaker by nature and the last thing she wants is to cause a fuss while the spotlight is on their new venture. 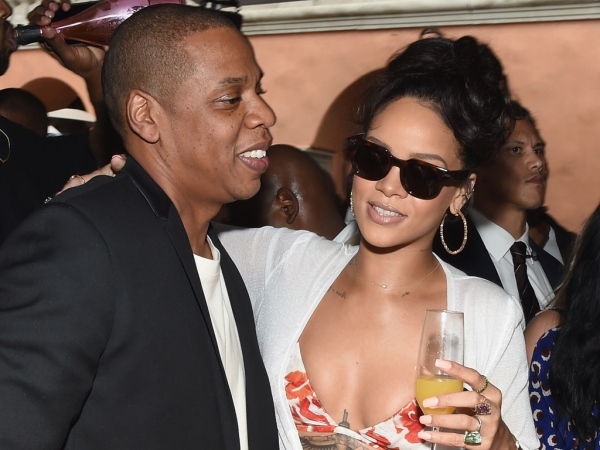 But she feels increasingly frustrated that Jay refuses to accept that there is anything unorthodox about his friendship with Rihanna," the insider added. I'm a 61 year old man looking to meet women between the ages of 35 and 56.